In these energy-conscious times, people are looking for home heating that is highly efficient as well as comfortable. 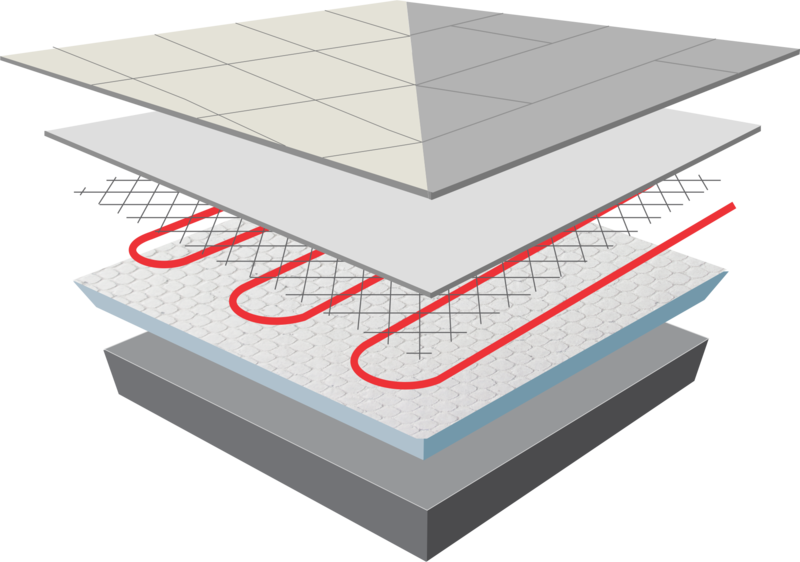 Marmox Insulation Boards direct the heat upwards into the room and provide an ideal base for cost-effective floor heating solutions. By laying the Marmox Insulation Board between the concrete slab and the heating system, you ensure energy is directed upwards instead of being dispersed throughout the concrete slab. When used with a quality thermostat, Marmox Insulation Board makes heating more efficient – you’ll notice the difference in your power bill, with proven savings of up to 50%. Any type of floor covering can be used above the Marmox Board. Any type of heating system can be used above the Marmox Board. The XPS Polystyrene board has a polymer mortar backing, ready to receive screed or adhesive, and ensuring a strong bond between subfloor and floor covering. The Marmox Board is applied directly to the subfloor using a specialised tile adhesive. The Marmox Board can also be used to build partitions, dry walls, bath and shower enclosures, and more.